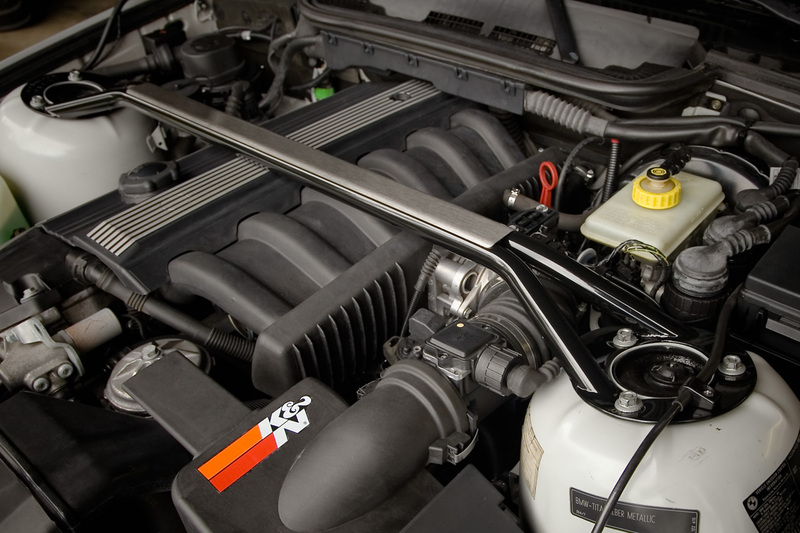 Fast Fab Racing Ultimate Strut Brace! Better Performance in Less Than 30 Minutes! The one simple bolt-on to improve your car's performance potential, in 30 minutes or less. Every time you drive your car, inherent flexibility degrades performance, lessening the effects of any upgrades you may already have. 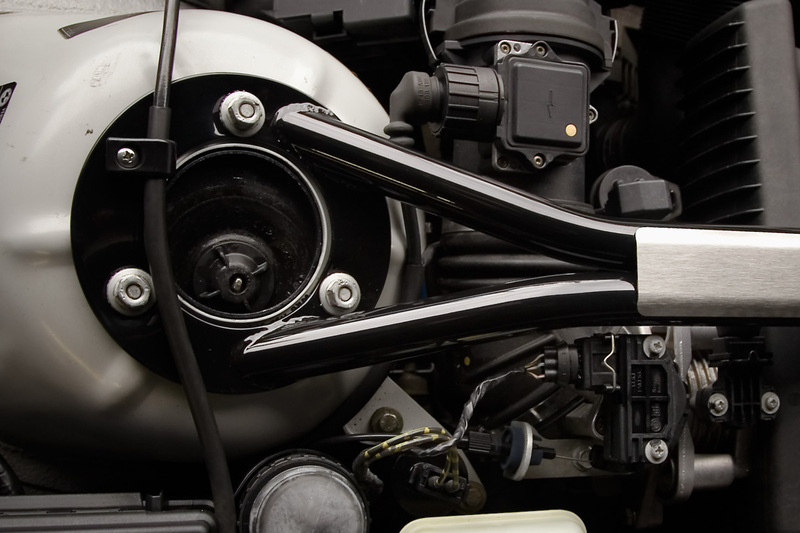 To counteract this problem, our Ultimate Strut Brace bolts rigidly between each McPherson strut top mount, eliminating the independent movement, flex, and distortion that will otherwise occur. Pros know that a stiffer chassis allows greater performance, increased handling consistency and reliability, so why throw away performance you don't have to? Why "anti-hinge" designs increase stiffness and strength. The last thing any competent engineer would want to introduce to a stiffening component would be a flexible joint, hinge, or bearing, but that is exactly what most strut braces have; rod-end bearings and bolted hinge joints! Our fully welded Ultimate Strut Brace eliminates these items, for the greatest stiffness, lightest weight, and highest performance possible. If you want the best strength-to-weight ratio of any conceivable design, you want the Fast Fab Racing Ultimate Strut Brace! It simply has no equal. Full functioning fit and compatibility, like no other. 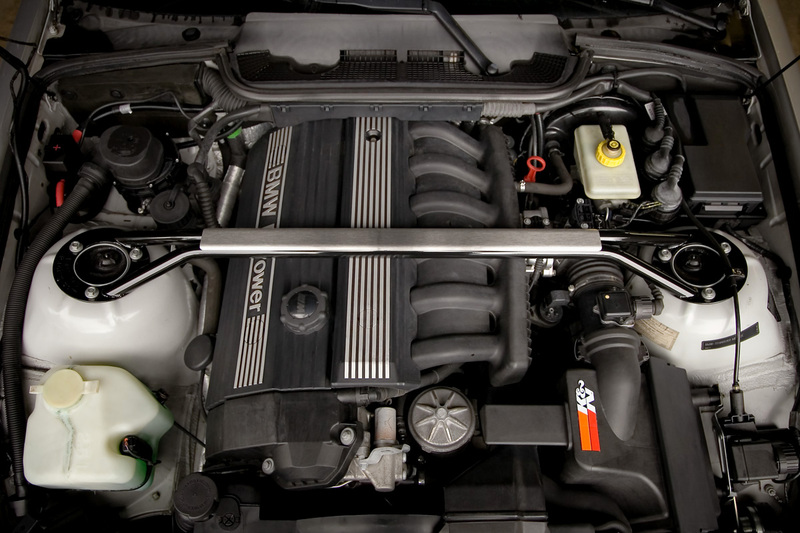 Made from 4130 chrome-moly aircraft tubing and weighing only 5.2lbs, the Ultimate Strut Brace is the perfect addition to any 6-cylinder 1992-1999 BMW "E36" 3-series car; maintains full ASC compatibility and clamps the cruise control cable in the stock location (clamp and hardware included). The part is designed to work with all standard aftermarket suspension kits and powder coated for superior looks and long-term durability. This product works best with our Ultimate Chassis brace.